Mapuche Indigenous Continue Hunger Strike in Chile; One is Hospitalized. On Thursday, May 19th, one of the four Mapuche prisoners who have been on a hunger strike for 66 days was hospitalized. Specifically, Ramón Llanquileo was taken to the hospital in Angol due to several health problems — most notably related to his heart rate. According to one report, Llanquileo was not actually treated at the hospital due to some procedural problems, but was instead returned to the prison. Llanquileo is one of four Mapuche prisoners who have been striking to protest alleged due process violations that occurred in a trial in which all four were convicted of attempted murder and sentenced to more than 20 years in prison.The four strikers have been on liquid-only diets since March 15th, and each has lost more than 35 pounds of weight in that that time. They began their strike shortly after a verdict was announced in a criminal case against them. That verdict convicted the four men of being involved in an attempted murder of a Chilean prosecutor. The trial against them, however, included testimony by “faceless witnesses” (witnesses that were neither seen by the defendants nor identified in court) as well as additional alleged violations of due process. 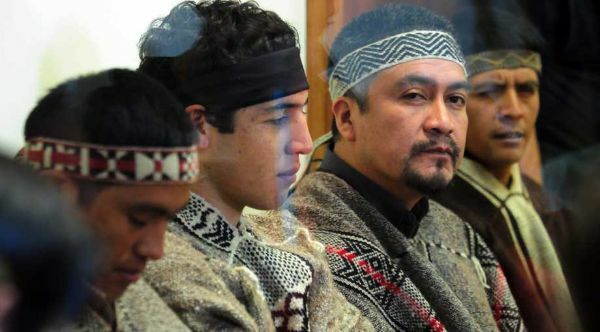 The four Mapuche men have appealed their verdict to the Chilean Supreme Court who heard the case last week. The Supreme Court is scheduled to release its decision on the matter on June 3rd. * Héctor Llaitul Carrillanca, a 43-year-old man who is married with five children. Llaitul participated in an 80-day hunger strike in 2007, and an 81-day hunger strike in 2010. Since the current strike began, he has dropped in weight from 205 pounds to 160. * Jonathan Sady Huillical Méndez, a 23-year-old man who is married with two children (a five-year-old and a five-month-old). He participated in an 81-day hunger strike in 2010. Since the current strike began, he has dropped in weight from 180 pounds to 140. * José Santiago Huenuche Reiman, a 34-year-old man who is married with two children (a five-year-old and a two-year-old). He participated in an 81-day hunger strike in 2010. Since the current strike began, he has dropped in weight from 150 pounds to 112. * Ramón Llanquileo Pilquiman, a 29-year-old man with two children (a ten-year-old and a three-year-old). He participated in an 81-day hunger strike in 2010. Since the current strike began, he has dropped in weight from 160 pounds to 120.